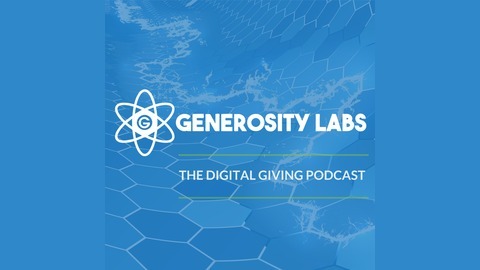 On The Generosity Labs Podcast, hosted by Kenny Jahng, we talk to pastors, consultants, service providers and other church leaders. We discuss the current trends, models and best practices for developing giving as a robust part of your community life. Are you ready to learn more about how you can get a culture of generosity to flourish from the inside out? Discover more resources and transcripts of our podcast episodes at www.GenerosityLabs.org. Did you know that 41% of regular church attendees give to church consistently? That’s less than half of your congregation. Alarming isn’t it? Listen as Kenny Jahng discusses the State of the Plate of generosity amongst churches far and wide and how church leaders can bring solution to your weekly giving. 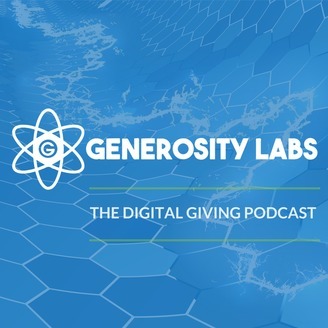 Hi there, this is Kenny Jahng with the Generosity Labs Podcast. Thank you so much for joining us today. One of the things that we have been getting questions about recently around here is the actual demand or the question really is do people really want to give outside of the offering envelope in terms of cash or cheque. Because one of the biggest rants that I've been having around here, Generosity Labs is that churches are stuck in the Stone Age, don't understand that envelopes and cash are just not relevant anymore to most of the peoples that walk in their doors. And so I just want to refer back to an important, I guess landmark industry report that comes out on a periodic basis. It is the State of the Plate. And today I wanted to go through Brian Kluth's work there, where they surveyed almost 1600 pastors, church leaders and lead people across the country. 1,596 people to be exact. And the survey asked these pastors, leaders and lay people's from churches of all sizes and the types of churches varied as well. And one of the things that, the whole point of the report is to report on their church giving patterns and practices and I think we can learn a lot from just looking at some of the data that has come out of the State of the Plate report. I think the next one is going to be administered too. The latest report that we have is coming out at the end of 2016, but I think if you wanted to name this, it's really the reality, the church giving is the name of the theme or the takeaway, right? It's basically a way to Paul, to the church. Here's a infographic that we produced in cooperation with a title State of the Plate. And It's what to call out some numbers that just struck me as we built this infographic. First one is 59 percent, so the majority of churches out there, if you are sitting in a church or you're a church team or staff, 59 percent chances are you're one of them. 59 percent of churches report declining or flat line giving. That's in contrast with another study. I think it was by Giving Rocket at one point said 84 percent of churches are at or below budget. That means only 16 percent of churches have any sort of financial margin to do ministry beyond what they're planning. This report here also says at 20 percent experienced giving decline of five percent or more. And I think they looked at five percent as being significant, right? So if you're giving year after year is declining at a rate of five percent or more, it's something to be concerned about if you're not able to turn that pattern around, something's going on with your giving behavior and that's pointing to something deeper in the culture or DNA of your church, so that's a gloomy outlook to begin with. Almost 60 percent of churches are declining or flat lines and 20 percent are actually saying, Whoa, we're going downhill. We're not just maintaining what we have, we're actually going downhill. That means that you know, in 10 years you're going to have a major issue, If you're not doing anything here in five years and even in two years, 10 percent less money in the staff budget, in the ministry budget, in the outreach budget, and the missions budget that is something to take seriously right now.